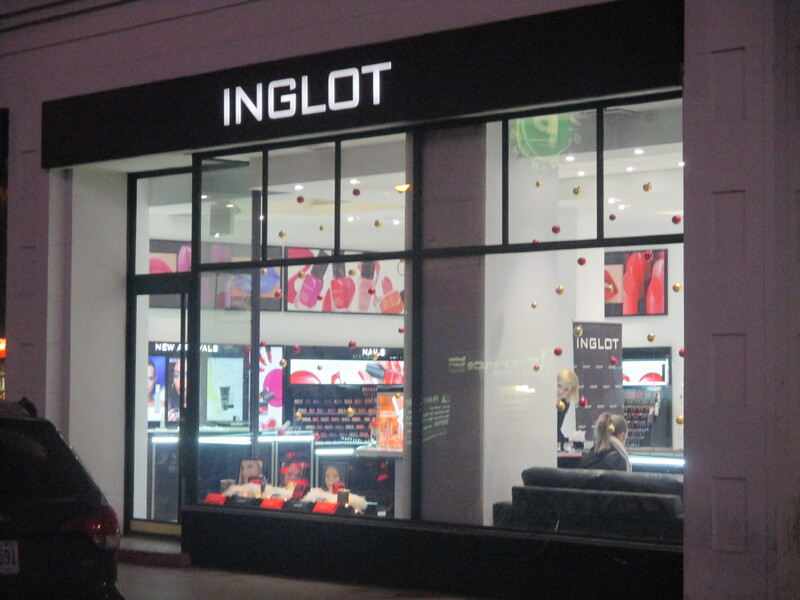 I consider the Inglot location at Yonge & Dundas a sweet gem for all beauty lovers – you’ll probably walk out with either several products in hand (due to the AMAZING customer service, or you will make a mental note of things to purchase on your next visit!). 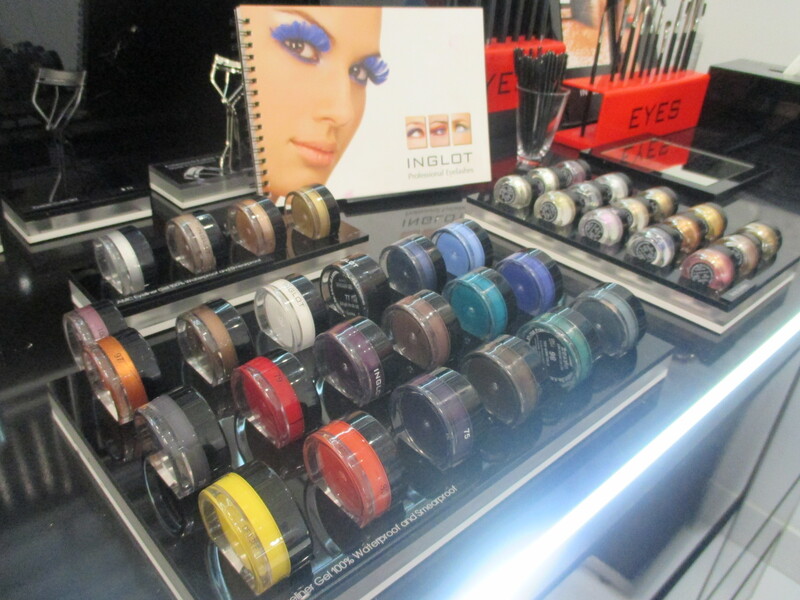 A little background information for those new to the Inglot brand, it is a Polish brand created by a Polish chemist named Wojciech Inglot. The motto of the company is to provide quality products with the best available ingredients on the market at a reasonable price. And my wallet thanks you! 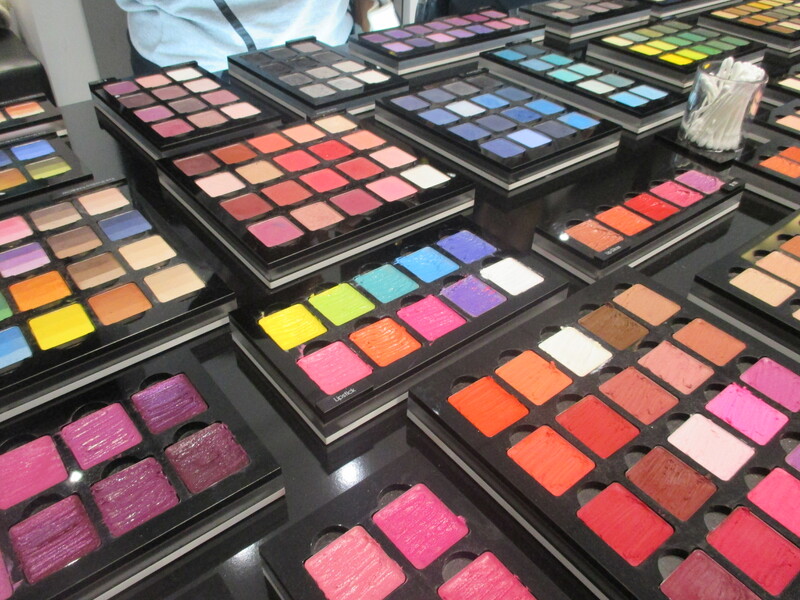 The Inglot brand is ALL about COLOUR – their colour range is unmatched in my opinion! And when you first walk into the store your eyes gaze in awe at the vibrancy of the Freedom System table! These are eye shadows available in a variety of finishes, lipsticks available in pan form and a large range of powders, eye brow and sculpting products. The BEST feature of the FREEDOM SYSTEM is that you can choose from a variety of palettes to CUSTOM create your OWN perfect palette, from eye shadows to blushes to powders you name it! (this shall my next makeup adventure!). So you don’t need to buy pre-made eye shadow palettes only to really love one or two eye shadows, you can make your OWN palette – love every single shadow & it will match your eye colour and skin tone perfectly! Sounds like a dream?! 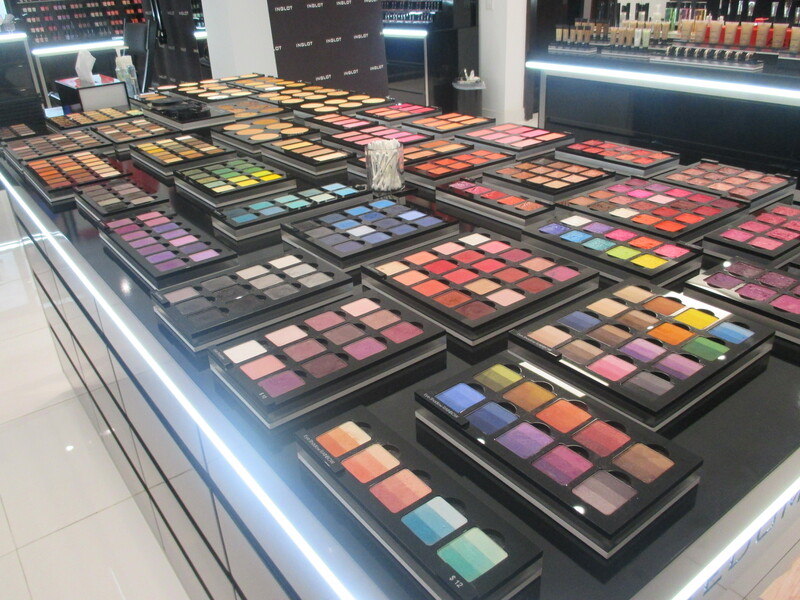 Well it’s a reality when you walk into an Inglot Store!!! 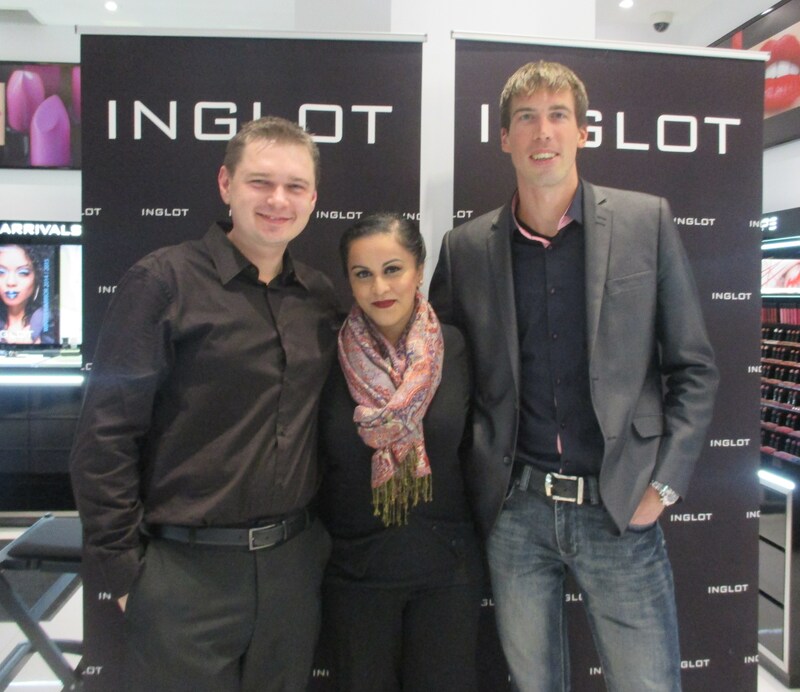 Before the event started I took my time to walk around the store and while playing with some of their products I was greeted by one of Inglot’s Presidents Marcin Bielen. How many President’s of companies actually take the time to meet and talk to beauty bloggers??! I was so nervous but his friendly and kind nature quieted my nerves. He mentioned the unique formula of their O2 Nail polish that is made from a polymer that is typically used to create contact lens which allows for water vapour to permeate onto the nail bed thus leaving your nails oxygenated!! 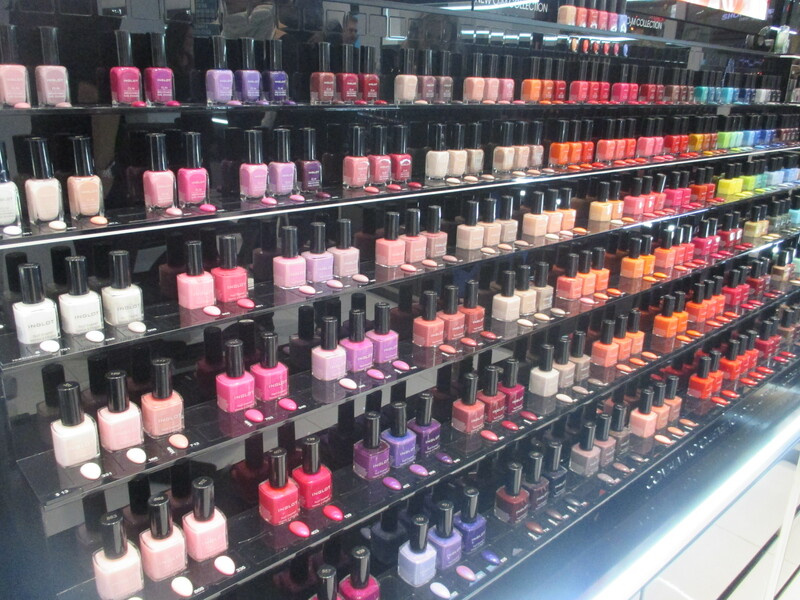 That’s right ladies, this polish the best of both worlds – colour and health!! This is the first of its kind on the market so you have to credit Inglot for being innovative and pushing the trends/boundaries! 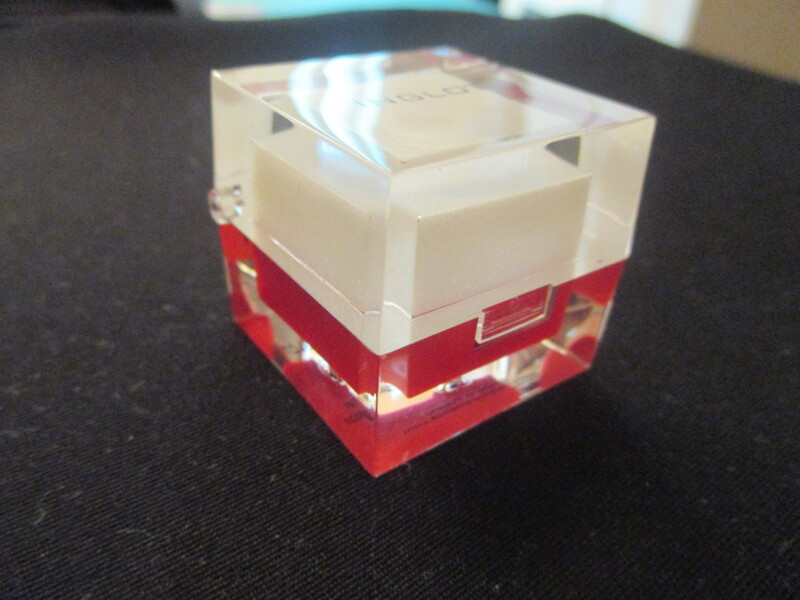 Marcin stated that the O2 nail enamel is one of their top sellers and I can see why! He mentioned its popularity amongst Muslim women as they are able to wear their O2 nail polish due to the permeability of water crossing the nail bed which allows their nails to be cleansed during wudu (Islamic ritual of cleansing the body before prayer). Read the following article to know more information regarding this topic HERE! 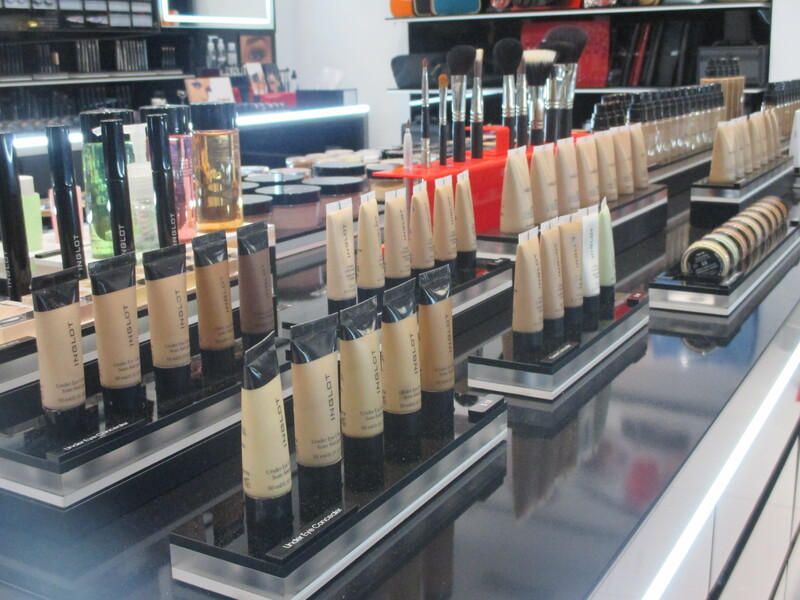 As well, all of Inglot’s products are PARABEN FREE and FRAGRANCE FREE. I was truly taken back when Marcin noted that the reason why Inglot can deliver high quality products for a reasonable price is that the company does NOT deal with a “middle man”, meaning when they order a product it is DIRECTLY to and from their OWN factory – in fact he stated the turn over time is around 2 weeks from the date in which it is ordered! (that is seriously impressive, no other cosmetic company on the market can make such a claim!) I kept all this in mind as I strolled past their gel eyeliners and foundations. NEW HD Perfect Cover Up!! Then, using the same Pro Blending Sponge she applied a darker shade of the HD Perfect Cover Up and contoured the cheek bones, forehead and nose of the model. (Using a cream/foundation like texture to contour she noted made the overall look more natural and I have to say, I agree! 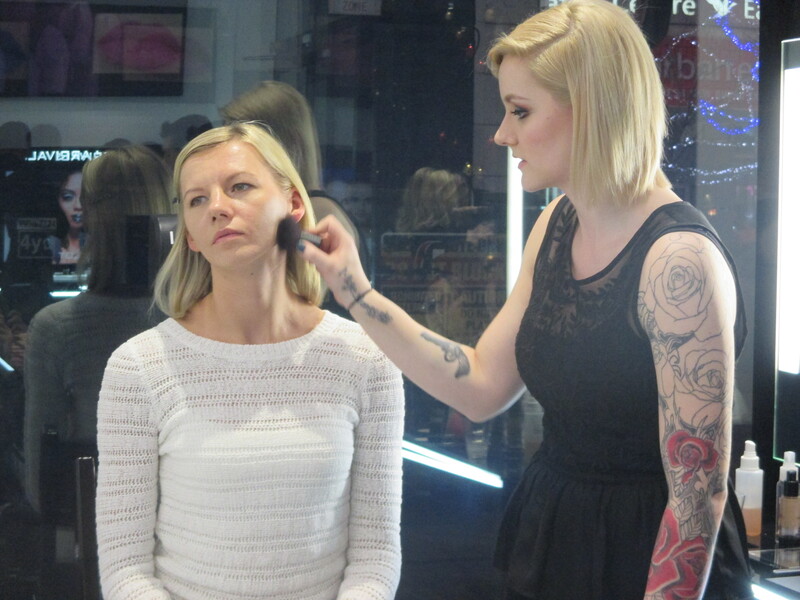 I was impressed how easily and quickly she was able to get the desired contoured effect!). 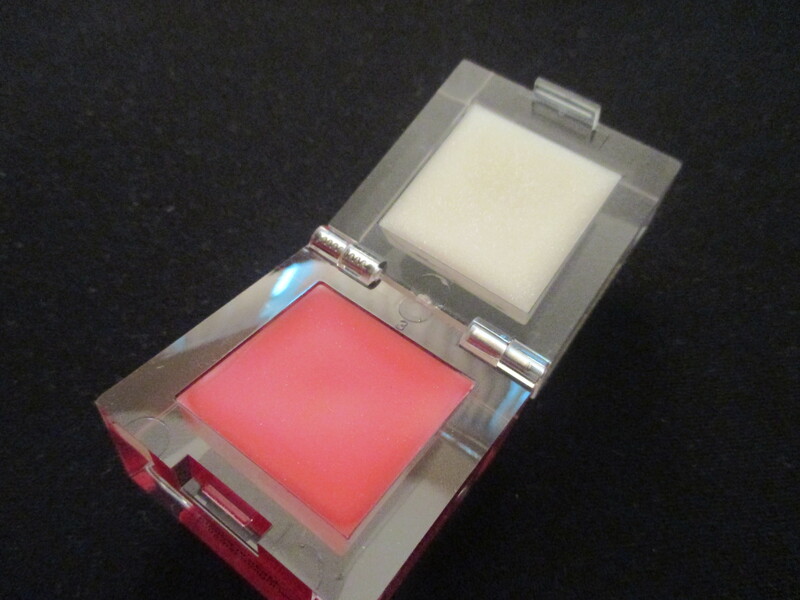 She used a cream blush on the cheeks for a flush of colour. (I was so in love with the natural finish of this product, I purchased one of these for myself after the demo!). A light-natural looking liquid highlighter was applied at the very top of the cheek bones for a dewy appearance and to enhance the overall cheek bone creating dimension to the face (You’ll see in my haul which colour I purchased within the this range! PS:, it’s amazing!). Asha, finished over the look with a dash of powder with a kabuki brush to seal the cream products and a natural lip gloss on the lips. We would like to thank you for attending this VIP evening made specifically for you, our favourite beauty bloggers. We’re proud to present to you Inglot’s brand new HD Perfect Cover Up Foundation. Inglot Toronto is currently the only store in North America which carries this new and spectacular product and we wanted to tell you all about it before anyone else. Along with this exclusive sneak peek we are also sending you home with facts which are usually only supplies to our Inglot artists. HD Perfect Cover Up Foundation was created to provide long lasting superior coverage. HD pigments glide over the skin to conceal and blur imperfections on. While it is categorized as a full coverage foundation with a natural finish, all levels of coverage and different ranges of texture can be achieved depending on the method of application. Once HD Perfect Cover Up Foundation is applied it instantly begins shade adjusting to the exact skin tone of the wearer. Not only is this foundation created to make your skin look flawless, it’s made to take care of the skin it’s being put onto as well. White truffle extract provides moisture balance of the skin to keep skin moisturized and promote longer wear with the skin looking and feeling healthy. This moisture balance also sustains the skin enough to prevent the skin from becoming excessively shiny. This product is also categorized as hypoallergenic which makes it perfect for those with sensitive skin. Thank you so much to the Inglot Presidents, Marcin and Silver for the generous gift and for taking the time in walking through their products with me – they generously handed me their cards with phone number and email address on them! (It was extremely apparent how much they appreciated their customers and audience, how many Presidents of cosmetic companies reach out so humbly?) To say I am beyond impressed is an understatement, I have been a true fan of the Inglot brand but this experience has solidified my thoughts of the products and the company itself. 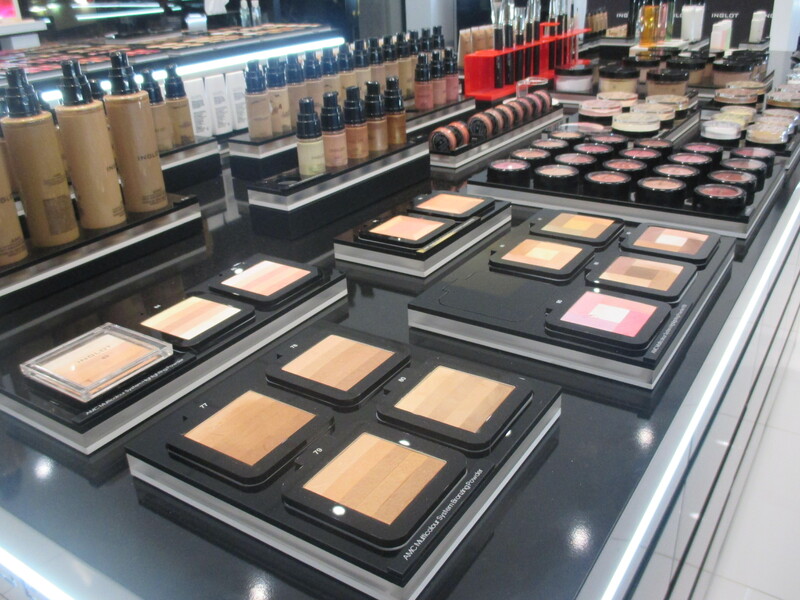 I BELIEVE in the Inglot product and brand which means you will be seeing A LOT more of their cosmetic line on my Blog and Youtube channel – believe me you shall thank me because they are WORTH IT! I want to say a huge thank you as well to Asha for being so funny, kind and witty – she enjoys make up and is a very talented makeup artist! She makes makeup application look so easy! But none of this would have been possible if it were not for the mention by makeup artist Julia! She is beyond sweet, talented and EXTREMELY helpful! Which is very rare in my opinion. They place their customers FIRST! You will ALWAYS receive impeccable and unmatched customer service. They truly WANT you to love every product so each makeup artist spends the time with you to find the product you are looking for. This is important because not everyone who walks into a cosmetic store is a makeup artist; one can simply have the desire to purchase a makeup item but can easily get overwhelmed. You can be rest assured when you walk into INGLOT you will be in makeup heaven BUT you have amazing service to help guide you along the way! You’re never going to be lost! Their products are of HIGH quality – so they’ve got the products to back it up! They are so supportive of the beauty online community – this is the ONLY event by a cosmetic company that I have attended where I felt truly appreciated and supported. I can’t quite capture my gratitude for how amazing that felt so THANK YOU TO THE ENTIRE INGLOT TEAM located downtown Toronto Yonge & Dundas!!! I shall be uploading my INGLOT Haul + video clips of the event so look out for that on my Youtube Channel! If you do go in store, please be sure to tell them I sent you! Hope you all are having a wonderful day, I love you guys and till next time!! Happy Holidays! !